Bondi Junction is a largely commercial area which has undergone many changes since the 1990s. There have been many major commercial and residential developments around the main street and surrounding area, and these changes require a lot of power. 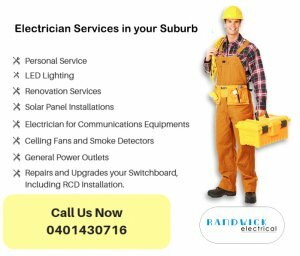 Randwick Electrical is proud to service this dynamic suburb. Here are a few reasons we’d like you to think of us as your Bondi Junction electrician first. Updating electrical networking is a common project for large and multi-tenant buildings. We are happy to service any type of electrical network. If you're looking to save money by switching from a traditional network to an embedded one, the experienced technicians at Randwick can guide you through the process. Embedded networks add a parent meter to which all electricity use is aggregated. The operator sells electricity to occupiers and collects the revenue, then pays for the building’s energy use as a single account. This leads to cheaper pricing for all.